This, folks, is a good example of.....well.........my weirdness. I literally shrieked with laughter. Then saw the open window....and regretted subjecting our neighbors to that. 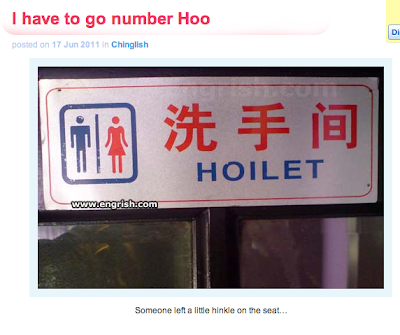 Thank you, Engrish.com for giving me so many laughs!